The vineyard known as « Les Fuées » is a parcel covering 71 ares (1.75 acres) forming the southern border of the Bonnes Mares appellation, which is to be found on the upper slopes as one leaves the northern part of the village of Chambolle. The vines were planted in 1960 and produce low yields. The grapes however are magnificent small berries, well spaced, with a lot of colour and thick skins. Annual production varies between 1500 and 3500 bottles approximately. 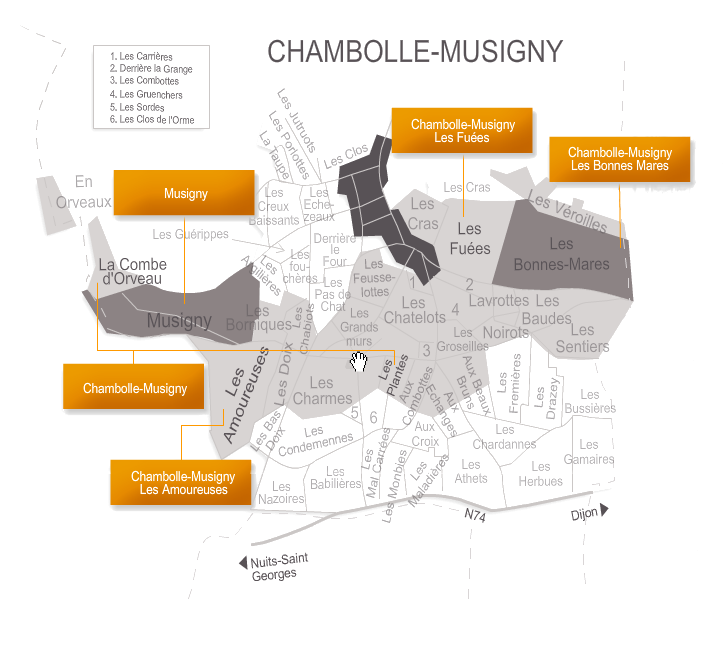 This terroir has one of the stronger personalities of the Chambolle-Musigny Premier Crus. Its bouquet is less floral than the other parts of the village; instead it has a more mineral nuance, more “earthy” than the Chambolle “Village” appellation or Les Amoureuses. The aromatic base note is that of blackberries and blueberries. In the mouth it is well structured, full and rich, the “attack” is very straightforward. To allow this wine to attain its full promise, it should be cellared for at least five years. In vintages of exceptional ageing potential, it can be kept for twenty to thirty years.